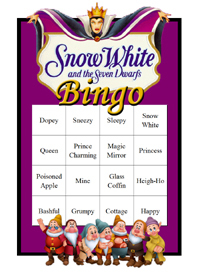 Snow White Experience Package - Gems from the Seven Dwarfs' mine, story pages and more on fairytale paper! 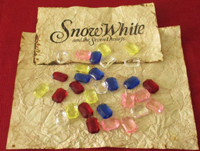 Precious Gems from the Seven Dwarfs' mine - in Snow White's colors! 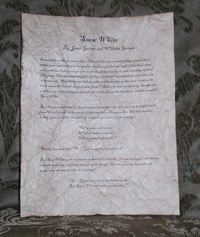 Fairytale Crest on Antiqued Paper - great for party Snow White party invitations and thank you notes! Looking for an opportunity to REALLY treat your little princess? Consider giving her an opportunity to BE Snow White for a period of time. Little girls love to dress like a Disney Princess, but rarely do they get an opportunity to truly FEEL like one. They can in their imaginations, which are wonderful things, but there are things that you can do to really enhance her experience! This page is dedicated to the effort of adding interactive components to the whole Disney Princess experience - this one specifically focusing on the story of Snow White. As the owner of Quest Experiences, an interactive design consulting firm, we've created personal adventures for individuals looking to feel like everyone from an international spy to Indiana Jones. With over 20 years of professional experience in designing themed adventures and experiences for others, we've learned a few tricks that you can incorporate into a single activity for your own little Disney Princess. We've put together a FREE SNOW WHITE EXPERIENCE PLANNING GUIDE that you can download that contains all you'll need to get started planning that special time for your princess while she's still of princess age. It details how to link together different activities to provide a true 4-D experience. 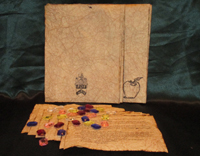 We also offer inexpensive and unique props that can be specifically used in your little princess's Snow White Experience such as realistic Seven Dwarf gems and Snow White storybook paper that looks magical! Today's children, more than any other generation before them, are being raised in a culture where entertainment is becoming more and more immersive...and they are LOOKING for that immersion experience. We remember a little of what we hear and only a little more of what we say. However, we remember A LOT MORE of what we do. 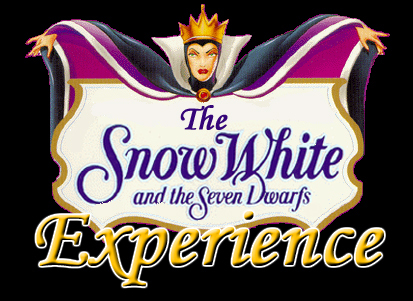 With a Snow White Experience, you'll be able to give her soemthing that she will always remember. Come visit us soon as we'll be adding more Disney Princess Experiences in the near future! To download the FREE SNOW WHITE EXPERIENCE PLANNING GUIDE, CLICK HERE! 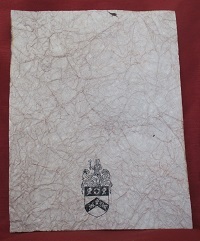 Snow White's full story on antiqued fairytale paper! 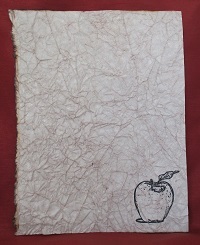 Snow White's Poisoned Apple on Fairytale Paper - great for thank you notes and more!